Please don't hate me – I'm one of the lucky moms who has a kid and a husband who regularly eat veggies. In fact, my not-so-little foodie, Sophia actually requested for chopseuy when we had lunch in Baler last summer. With that said, I usually find it easy to serve them veggie dishes. In my close to a decade experience of homemaking (I feel sooo good writing that, wow 10 years can you imagine), it's apparent for me to have already memorized the food my husband likes. As for my growing girl, every new meal is a discovery. One time, I served her fried tofu. She asked me what it was then said she doesn't like it. I urged her to try it first and dip it in the sauce I made. I knew she loved it when I saw a tiny smile in the corner of her lips as she chewed. My homecooking mama heart was so happy! That's when I was sure she will love it added in dishes that she already eats. 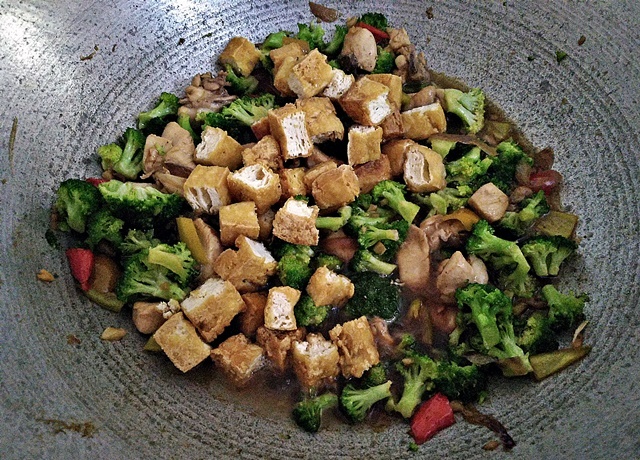 Hence, I served her Chicken and Broccoli Stir-Fry with Crispy Tofu. Yum. Here's my recipe if you want to try it, too! 1. 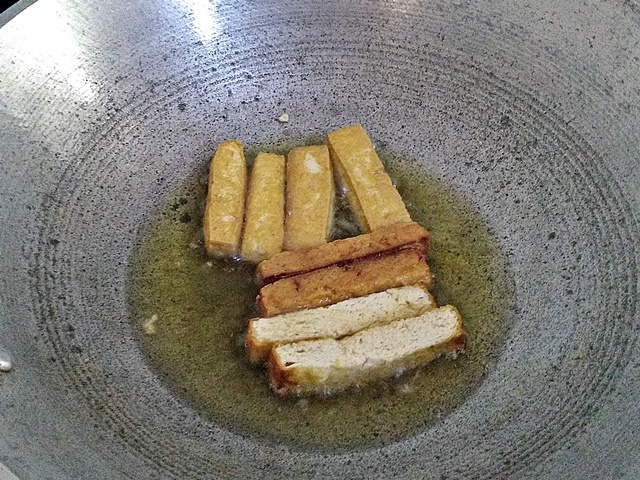 In the same pan where you fried your tofu, discard and set aside some of the oil used. Sauté onion and garlic until it fragrantly aromizes your kitchen. You must cook in high heat when stir-frying so make sure you move quickly or else it'll burn. 2. Add the chicken, fish sauce and pepper. Cook until all pink parts of the meat can't be seen. 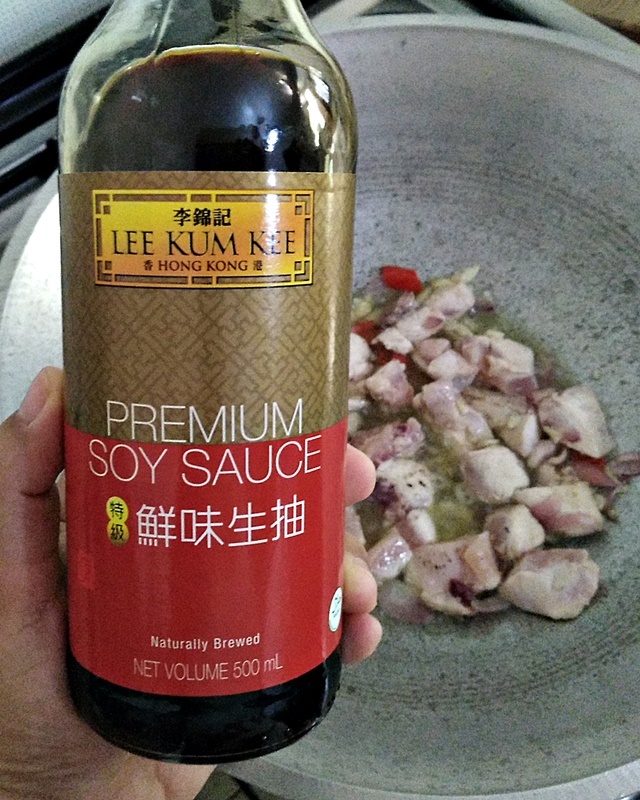 Add soy sauce and stir-fry well. 3. 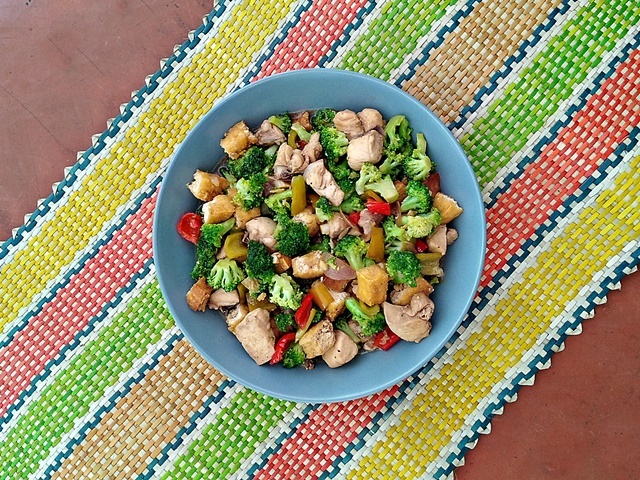 Add the broccoli and stir-fry until it turns darker shade of green. It's more delish when that green friend of ours is crunchy and not overcooked. 4. Then it's time for the invited guests to party with the gang! Add them tofu. 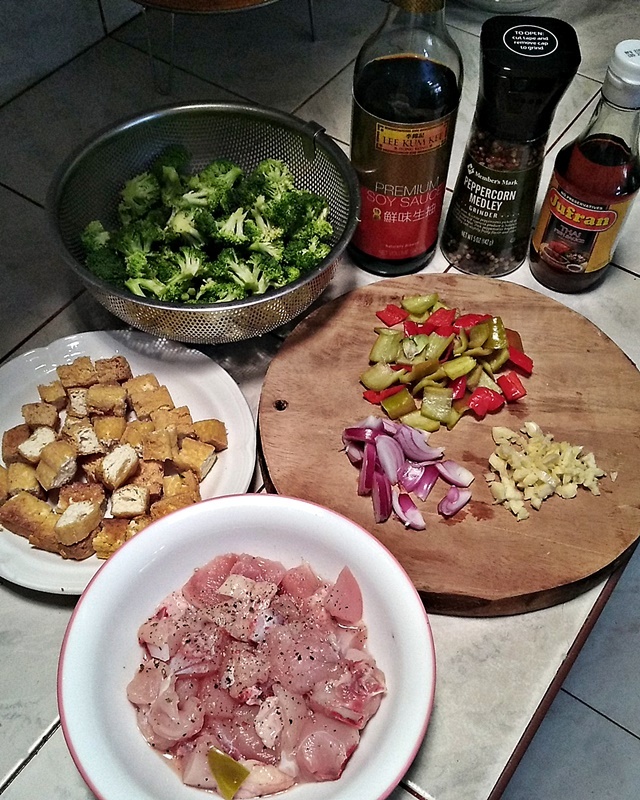 Stir-fry like a true kawali royalty.